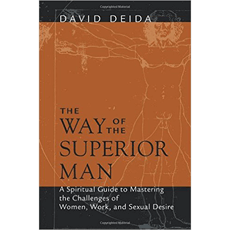 His views on masculine and feminine polarity and what creates sexual attraction and desire are worth the price of the book alone. Perhaps a bit too 'new age' for some people. One of the best books I have ever read on relationships. I have been in the community for awhile but have never seen anyone explain the mind of a woman as succintly as David Deida does here. His reasons as to why women test men and the way to handle them are particularly insightful. I believe there is something in this book for everyone. Buy it now.